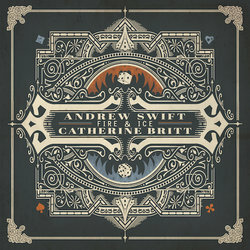 The brand new album from Americana/Alt Country artist, Andrew Swift "Call Out For The Cavalry" was released in March 2018, earning itself a #1 posi on the ARIA Australian Country Albums Chart, #3 ARIA Country Albums Chart and AIR Independent Label Albums Chart. Call Out For The Cavalry is a debut album, of sorts – not Swift’s first album, but his first Alt Country record. After feeling like he was drifting on the ocean, waiting for inspiration to appear, Swift thought he was adrift, a little lost, but coastline appeared in the form of his new love, country and Americana music. His songwriting was invigorated and new music flowed from and around him, and it clearly fits him like a glove, with the album so far spawning 4 singles. Fire & Ice is a very cool, catchy, alt country duet track featuring one of Australia's biggest names in the genre, Catherine Britt.